About Winnet/Tasha Bertram; band members & musicians, London based. 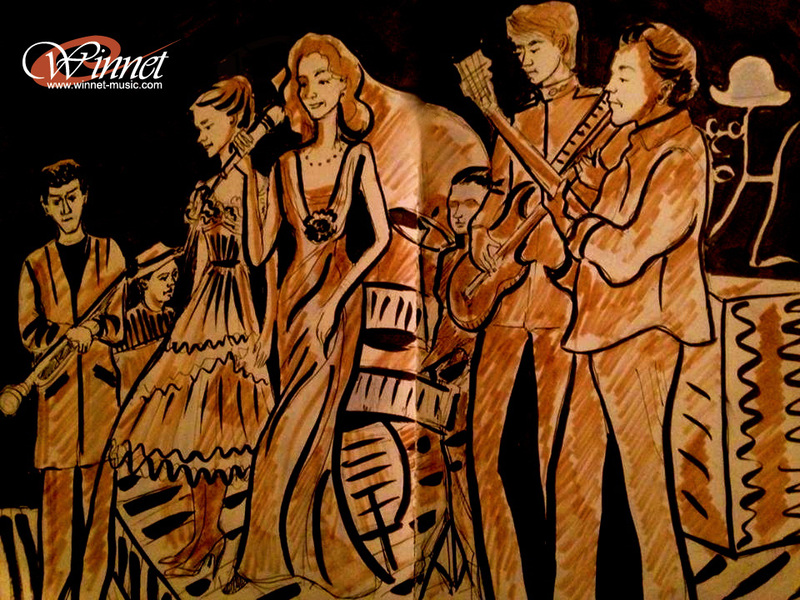 The name Winnet was acquired while Tasha was still a young dancer, but she started her band as ‘Simply Tasha’, collaborating musically with guitarist Joe Volante and pianist Jack Stanley. Together they formed the core of the band that is now Winnet, writing songs such as Get Out and Walk On. Their work together continued over the years producing three videos, an EP, the film score for ‘A Hat For The Camel’ and album FEAT available to buy. Tasha’s two children, Thomas and Ava were always present supporting their Mother and inevitably over the years, they started to join in. Now they stand as solid members alongside the rest of the band including their father, Mark Sangster on drums. Although the family aspect is a strong feature, ‘Winnet’ remains an independent artist, singer and songwriter. Her background as ballet dancer and actress gives her a unique charismatic quality as a performer, which compels her audiences and embellishes both the style and subject of each song. Her chansons voice enhances songs that draw on musical influences from Edith Piaff, Jacques Brel and Kurt Weil. She has built the band’s sound up around her life experiences incorporating independent players and musicians from jazz traditions, pianist Greg Evain, trumpeter Harrison Cole and guitarist Daniel Smith, to play music that covers a variety of genres and cultures. Tasha uses her own choreographic sequences to enhance the visuals, collaborating at times with dancers from The London Ballet Company as well as other independent performers.